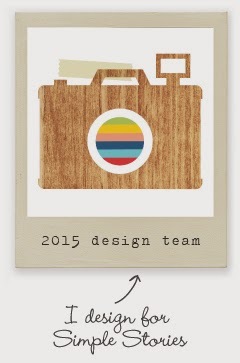 It's no secret that I am behind in my 2014 album. Last year had its up and downs. 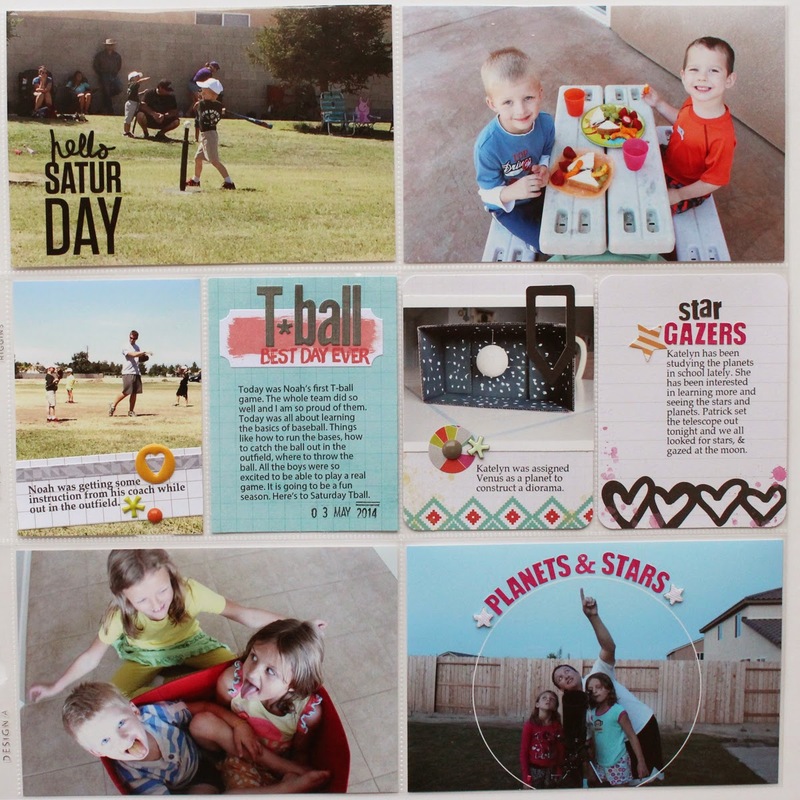 Not a lot of scrapbooking happened. But this year I am back in the game. I got a good start to 2015 and am almost done with week 1. My Studio Calico Kit came !! Once I get a moment, I will go back to that and get that one done. I took some time went back and picked a fun week to work on. I'm sharing it with you today. This is what Week 17 looks like. Again, from 2014. 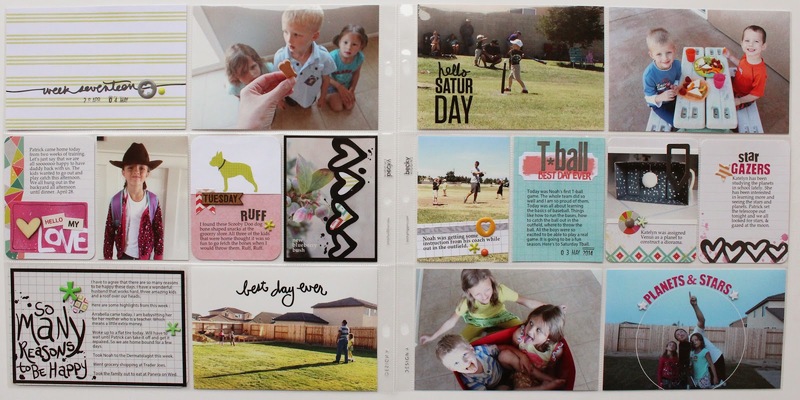 I am still loving the Hey Girl Daily Diary Kit from Noelmignon.com. Here is what week 17 looks like. As I look back over this week, I used lots of fun colors that are all throughout the kit. And I'm okay with that. I went with a simple title card this time. I felt like there was lots going on throughout the spread and this was just want was needed. 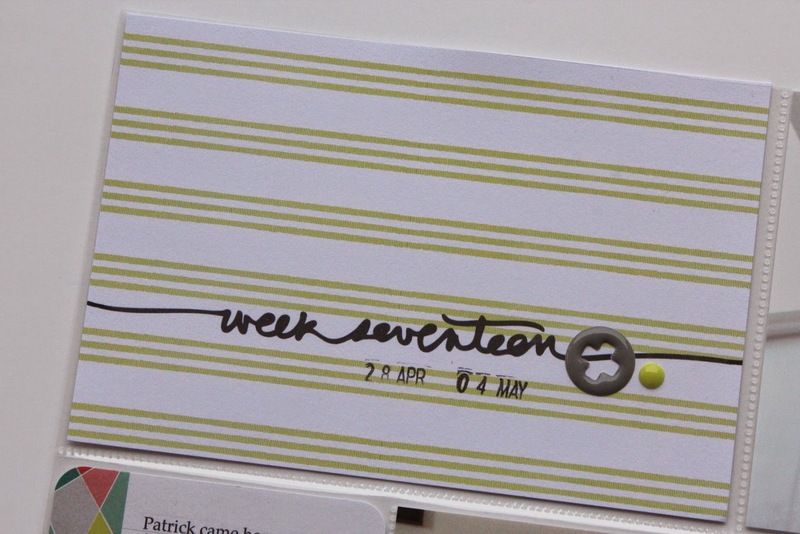 I added the week digital brush to a sheet of patterned paper. Finished it off with a few embellishments and added the date with the always fun Shimelle date stamp. I have to say how much I like the date stamp. It has a little bigger font than others and I love it !! This is a journaling card about having my husband back from a 2 week training session. 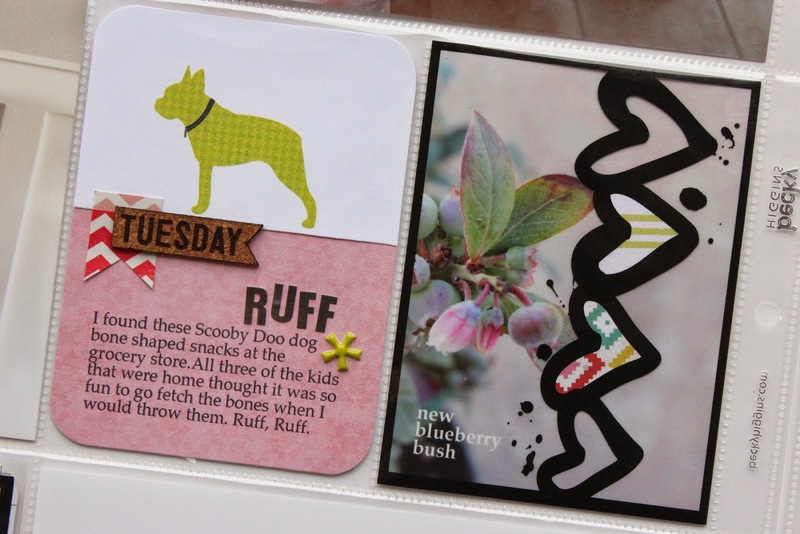 I put the pink love sticker on the bottom and used some of the fun word stickers on top. Also added a photo of Katelyn in her cowboy outfit. It was pioneer week at school. At least I think it was, or something like that. The first card talks about the scene of the three kids begging like dogs for the cracker that was shaped like a dog bone. We bought a blueberry bush that week. Katelyn was soooo excited. I printed out the photo and then added the heart overlay on top. I wanted to jazz up the overlay a bit so I added some patterned paper behind two of the hearts. I used this overlay to be a border for a recap of the week. Here is the second page of my spread. I added a slanted strip of journaling to the bottom of my photo. This is so easy to do. Start by cutting your journaling down to the size you want. Position it as slanted as you want and then glue it to your photo. Then cut off the sides and your done !! Ta Da. 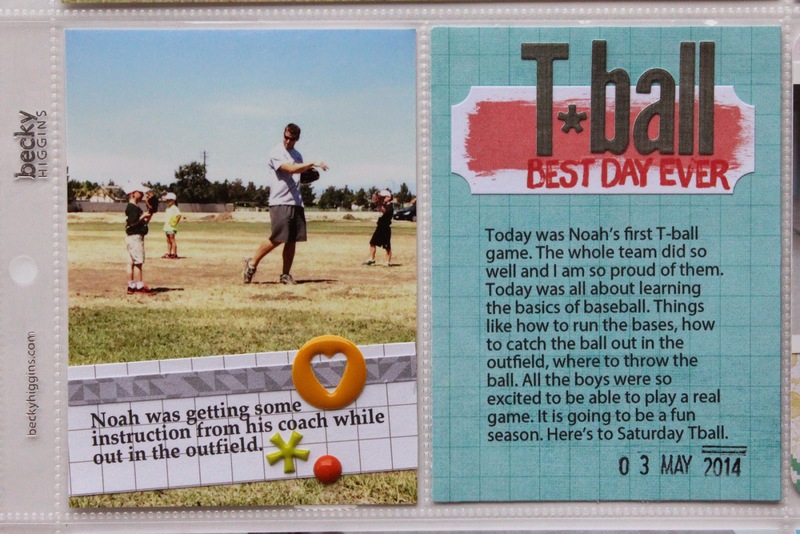 The second card talks about Noah's first tball game. Katelyns diorama from her school project. 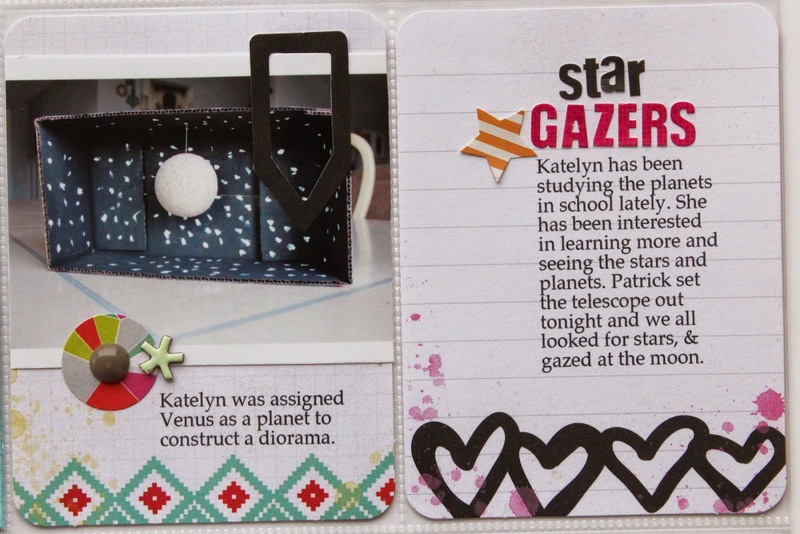 And then some journaling about getting the telescope out to look at the stars/moon/ect. 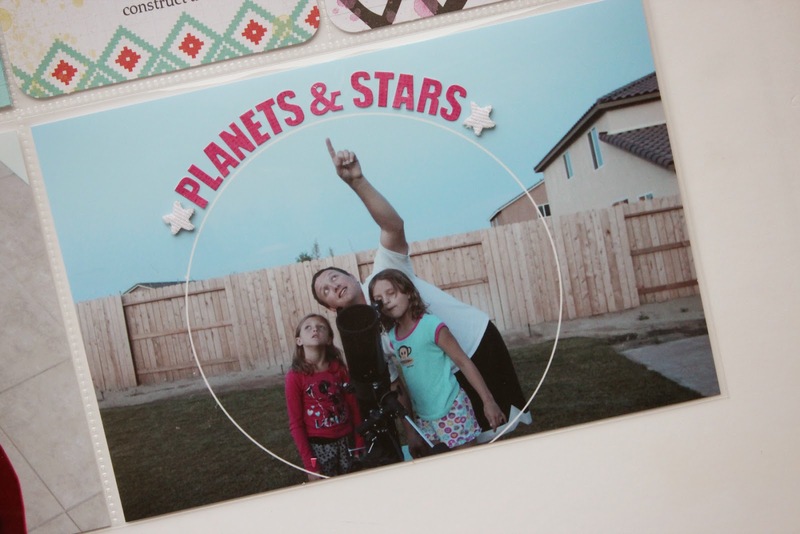 Before printing out my photo I added a white circle in photoshop to make a frame around the star gazers. I used the letter stickers around the edge for a fun effect. That is it for me today. Have a great day everyone ! !